Hotel Dieu Shaver Health and Rehabilitation Centre received additional funding from the Hamilton Niagara Haldimand Brant Local Integrated Health Network (HNHB LHIN) to expand its Ontario Telemedicine Network (OTN) program to accommodate specialized populations. The expansion of the OTN program now allows Hotel Dieu Shaver to incorporate nursing support for clients that require access to specialists via OTN such as clients with neuromuscular disabilities including but not limited to Parkinson’s disease and Augmentative and Alternative Communication (AAC) clinic clients. The expansion will also include home visits incorporating OTN. 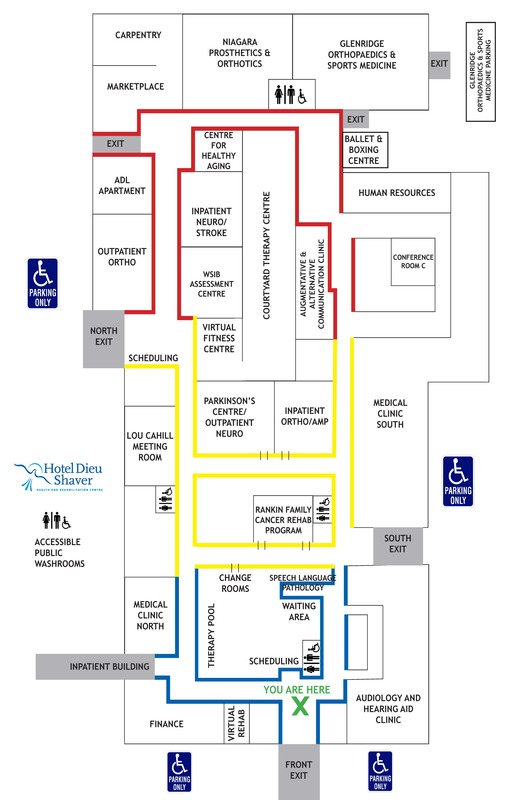 This improved access to neurology appointments and coordination of care for clients requiring OTN services, fits with the mission and values of Hotel Dieu Shaver and addresses some of the unique challenges faced by these patient populations. Currently the Steve Ludzik Centre for Parkinson’s Rehab and has a wait list of up to three years and the AAC Clinic has an average 73 day wait list. Hotel Dieu Shaver hosts the only Parkinson’s Rehab Centre in the HNHB LHIN and the only AAC clinic in Niagara.